In the next 12 months, an estimated 1.4 million general insurance policies held by Australians are unlikely to be renewed with the same company, according to consumer research firm Roy Morgan. In the next 12 months, an estimated 577,000 motor vehicle insurance policies and 842,000 household policies are unlikely to be renewed with the same company. 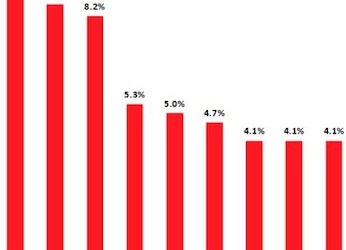 This is a total of 1.4 million policies and represents 3.8% of the total market, according to the latest findings from the Roy Morgan Research Consumer Single Source survey. 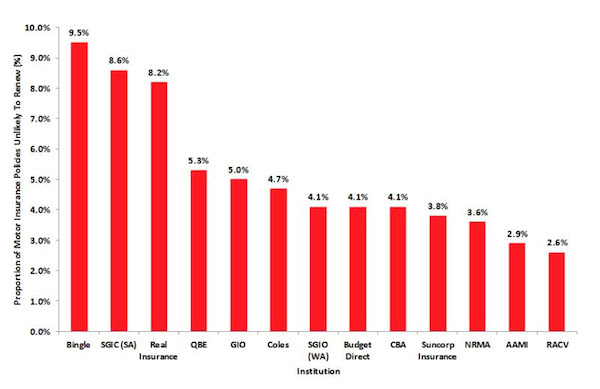 Of the 842,000 home insurance policies that are unlikely to be renewed in the next 12 months, an estimated 246,000 (29%) are expected to come from NRMA, AAMI, and Allianz, however the companies with the highest proportions of their policies unlikely to be renewed were at Coles with 7.5% (13,000) followed by SGIC (SA) with 6.7% (13,000) and ANZ with 6.2% (16,000). 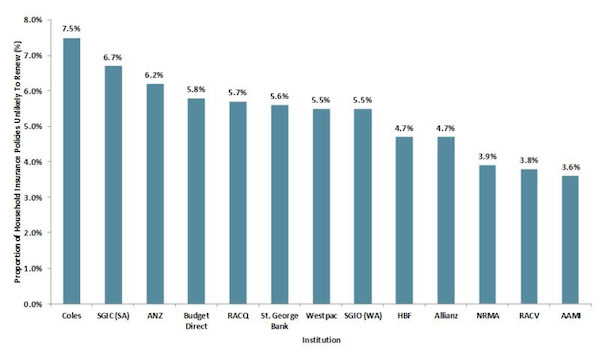 The switching levels at the three biggest home insurers were much lower with NRMA (3.9%), RACV (3.8%) and AAMI (3.6%). The largest number of Motor Insurance policies not likely to be renewed is also expected to come from NRMA, AAMI and Allianz, with an estimated 190,000 (33%) policies between them. The highest proportion of Motor Insurance policies unlikely to be renewed at the same company did not come from the three larger companies but elsewhere, with Bingle expected to suffer the highest proportion of loss with 9.5% (10,000), followed by SGIC (SA) with 8.6% (12,000) and Real Insurance with 8.2% (9,000). These companies compare unfavourably with expected losses of only 3.6% for NRMA, 2.9% for AAMI and 2.6% for the RACV.